I’m a San Diego based yoga instructor specializing in building strength and flexibility through yoga to build an empowered body and mine. 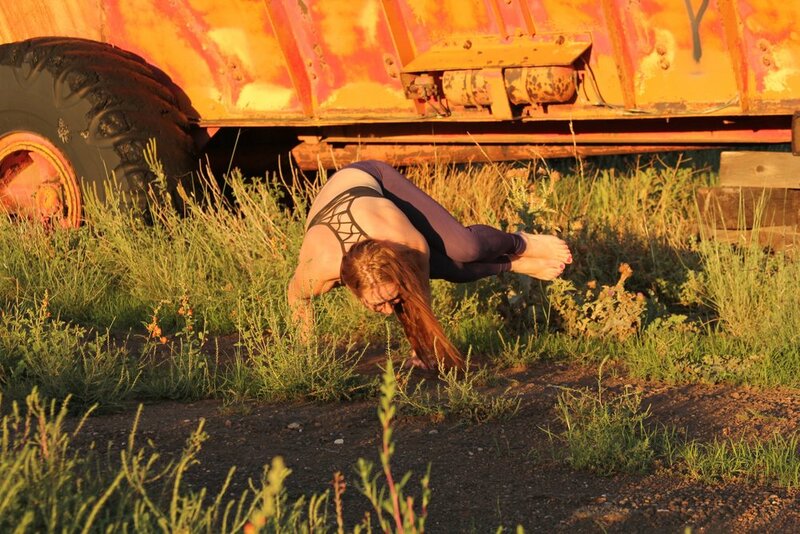 My specialties are in Vinyasa Yoga, which is a flow based practice linking breath to movement and Yin Yoga that challenges the mind and refreshes the meridians (energy systems) in the body. I found yoga as a way to work on flexibility and have watched it evolve into a self healing practice. Emotional healing after years of being excluded, which can have a very negative effect on the mind and body. When it comes to my students, I give my all by holding a warm and inviting presence throughout each group class or private session. I am excited about helping YOU find a sustainable wellness practice through face to face group or private instruction, pop up classes and workshops or live online group classes. Leading you in person or online is super exciting. I am a mom to both a human and dog, runner, yogini, writer and grain free recipe maker and stand up paddle board (SUP) enthusiast. I was born and raised in Colorado (the Denver area) and also spent every summer in Minnesota on a lake. Being near that water has always made me feel more calm and at peace. After a few years in Arizona (the opposite of being near water, even in the northern Arizona mountains), I live in San Diego only a few miles from the ocean. Over 17 years ago I started practicing yoga as a way to stretch and supplement my daily running activities. During my graduate education and for the first 8 years of my school teaching career, yoga and running were the only things that made me content. After considering yoga teacher training for a few years, I realized I loved teaching but wanted to help others through yoga. I completed a 200 hour yoga teacher training (RYT) and have started to work toward completing my 300 hour teacher training. The training I received was primarily in Hatha and Vinyasa yoga, therefore I primarily teach Vinyasa and Yin yoga. In the last couple years I have combined my love of both and teach a Flow to Yin class twice a week. Sometimes yoga studios can be intimidating and expensive. Sometimes there seems to be less and less time, so commenting to and from a yoga class plus finding parking takes more time that you would like. By taking online classes you can do yoga from the comfort of your own home. Do you only teach online? While I love teaching with Ompractice, one of my favorite things is to teach face to face group classes. I currently teach a weekly class, locally in San Diego at Wild Island Collective as well as Workshops and Pop-up yoga classes. Why did you choose Alternative Yoga Vibe? I’ve always been somewhat of an outcast. Growing up I was one of the only kids I knew who didn’t have a Dad. I have red hair and lots of freckles which makes me look (and feel) different. I’ve never quite fit in which has transferred into the yoga world, sadly. Instead of trying to fit the “mold” of what a yoga teacher/practitioner should be/do, I have followed my own path making yoga fit me. Of course tradition in yoga is essential, however innovation and functional movement is also something that drives my teaching and personal practice. Adding less traditional things like some extra core work, pushups or squats to my practice make me feel more connected to my body and breath. I offer group classes, private classes, workshops, pop-up yoga classes and brand partnerships. Get more details here or email me directly. I look forward to connecting with you!